Harvest season is almost here -- veraison has started around the county! We're ready to help you out with all of your harvest needs here at Curds and Wine. All of our product pricing and availability is now online, and you can place orders for shipping or for in-store pick up. We also have all of the equipment you need for harvest season, be sure to contact us to reserve equipment as soon as you know when you'll need it. We also have a general instruction sheet for making wine from fresh red wine grapes with a basic shopping list available at the store or on our website to help you get set up for the season. For anyone that missed out on signing up for our Basic Winemaking seminars, we'll have a 2-hour Crash Course on Saturday August 25th, see details below. Last call for Winexpert Speciale Port pre-orders! Contact us to preorder your Chocolate Raspberry Port (Best of Class winner) or Chocolate Orange Port (new! ), each are $116.95/kit at Curds and Wine. Please note: these special releases are for in store purchase and pick-up only. Pre-orders are due by Friday August 3rd! In case you missed out on the Basic Winemaking from Fresh Grapes 3-part seminar and the Grapes to Glass Hands-on Harvest course for 2012, we have a special Basic Winemaking from Fresh Grapes Crash Course on Saturday August 25th from 1-3 pm. We will cover the basics of making wine from fresh grapes. We will go through the processes involved, chemistry testing, and the equipment you will need, with demonstrations of the use of equipment commonly used for winemaking. This class is limited to 18 participants, $45/person. Purchase tickets at the shop or online. If you are interested in being part of our 2013 Grapes to Glass Hands-on Harvest course, please contact us. We already have a waiting list for next year's harvest! In association with San Diego Amateur Winemakers' Society, Curds and Wine is hosting bi-monthly home winemakers' seminars. These seminars are held every even numbered month on the third Saturday at 1 pm. Seminars are given by Lum Eisenman, a winemaking guru that we are lucky to have in the San Diego area. Lum will share his expertise on various winemaking techniques and issues. This month, just in time for harvest season, Lum will give discuss "Must Adjustments". These seminars are free, but limited to 20 people. If you are interested in participating, please RSVP online. We have 2 new products in 2 sizes available just in time for crush! Toasted Oak-Mor is sourced from select American white oak that has been processed to a medium plus toast level. This granular oak offers notes of vanilla, coconut and subtle spicy clove. Oak Avantage French Granular Oak is sourced from the highest quality oak in Central France. After aging for 18 months seasoned staves are granulated to produce a uniform particle size. The oak is toasted by a unique drying process to create delicate flavors and aromas. 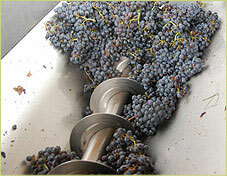 Add 2-6 ounces per 100 pounds fresh grape must at crush or 5-6 gallons juice at the start of primary fermentation. 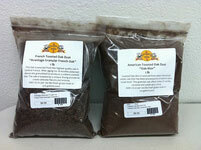 Both products are available in 6 ounce or 1 pound bags. If you are looking for a straightforward, step-by-step guide to making wine at home, this is the book for you. Sheridan Warrick waxes poetic about the joy and magic of making wine with your own hands, and guides you through each step with plain language. This book has just enough detail to explain the purpose of each step of winemaking without getting bogged down in too much detail. Part one walks you through the process, pointing out potential pitfalls and things to watch at each step. Part two goes on to expand on the basic outline to help you improve your process and make better and better wine every year. Get your copy today at Curds and Wine to mentally prepare for harvest and crush!